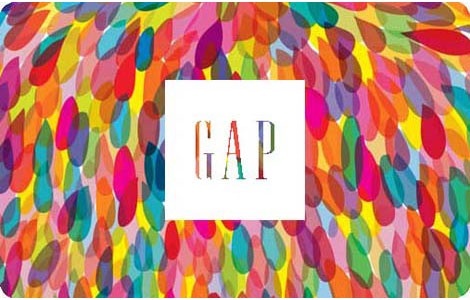 The Options giftcard can be used at all Gap, Banana Republic and Old Navy locations in the US and Canada. So now you can use one giftcard to get your favorite pair of Gap jeans, a luxurious Banana Republic shirt, and an Old Navy graphic-T. ?Options gift cards have no expiration or maintenance fees, and can be used in the entire family of Gap Inc. stores (Gap, babyGap, GapKids, GapBody, GapMaternity, Old Navy, and Banana Republic). Options giftcards are redeemable for merchandise only and cannot be replaced if lost or stolen and may not be redeemed with certain promotional offers. Restricted to use in the USA and Canada. National Gift Card is the best place for you to order Gap gift cards in bulk. We are the experts in all things gift cards and can set up your gift card solutions program for you today. Please contact us for more information on Gap bulk, direct-to-recipient, or individual gift card fulfillment for your gift card program. Contact us here or call us at 888-472-8747 today! This Options GiftCard ('Card') is issued by Gap (Canada) Inc. and Old Navy (Canada) Inc. Canadian corporations and may be redeemed for merchandise at any of the Gap brand Old Navy or Banana Republic stores including Outlet and Factory stores. Purchases will be deducted from this Card until the value reaches zero. This Card may not be used or redeemed with certain promotional offers and may not be applied as payment on any account. Additional value may be added at any Gap brand Old Navy or Banana Republic location. Dollar values are in the currency of the country where card is purchased. Redeemable for cash when the balance is less than $5 or as required by law. Restricted to use in the USA and Canada. To check your Card balance or report a lost or stolen Card: Call toll free 1.866.472.2139. Replacement cards will be issued only for the dollar value remaining on the card at the time you report it lost or stolen. No replacement cards will be issued without original receipt.